Seth Larson is a writer, performance artist and theater director from San Antonio, TX. He is a founding member of the Aesthetic of Waste and a director of Habitable Spaces, an artist residency and permaculture farm in Kingsbury, TX. His work focuses on the collaborative creation of performances, with an emphasis on Futurist and Surrealist themes. Theatrical direction, writing and performance credits include an adaptation of Robert Weine’s The Cabinet of Dr. Caligari, We Stole This, The Most Important Night of Theater You Will Ever Attend, White, John Clancy’s Fatboy, and Martin Casella’s The Irish Curse. Performances and installations have been produced at the Overtime Theater, the Houston Fringe Festival, AtticRep, the Fuchsbau Festival, and Luminaria. He was a participant in the Utopia School, when it met at Flux Factory in October 2014. Seth Larson graduated from Trinity University in 2012 and has been working across south Texas. 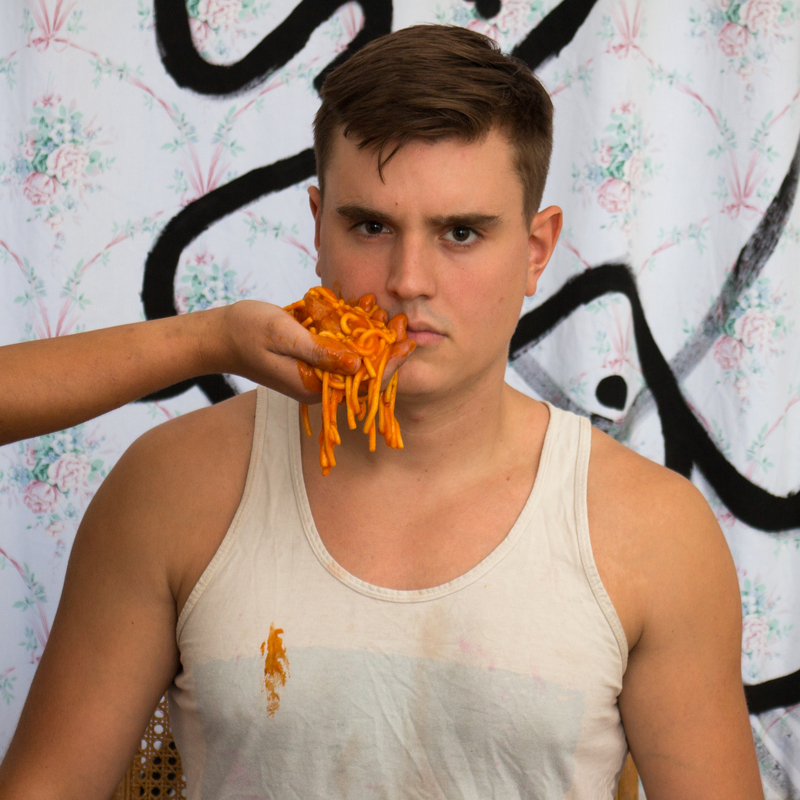 He joins Flux Factory in September 2015 with his long time collaborator, Abigail Entsminger. Oksana Mironova was born in the former Soviet Union and grew up in Coney Island, Brooklyn. Flux Factory is excited to have Oksana working here as a Cultural Equity & Organizational Sustainability Fellow, under the Column Shifting program.